A reader/weaver/loom maker wrote to ask me about the pattern for the 6" pin loom that is available in the book Pin Loom Weaving. She was having problems making the pattern of pins work. I went back to the book and checked the pattern and found that it was wrong, I had managed to insert too many pins on two of the sides. Just enough to make it goof up, not enough apparently for me to notice that I had gotten it wrong. 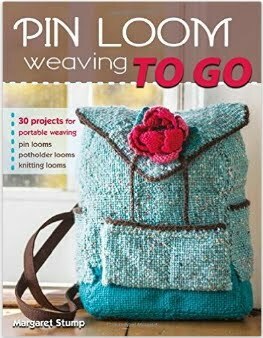 I want to apologize to anyone who has struggled to make the loom with the incorrect pattern. I feel terrible to have sent out something that wasn't right. There is now a corrected pattern on the page titled: New 6" Pin Loom Template. This will allow you to download a PDF of the correct 6"x6" template. Please note: In order to make certain that the pattern prints to the correct size, you need to click the download button and print it through Adobe. If you print it directly from the shared file, it may come out an inaccurate size. When you print it, make sure that you hit the radio button that says: Print at actual size. Otherwise it will print too small and you'll have reason to get upset all over again-- at least that's what I did. Again, my apologies for this error. 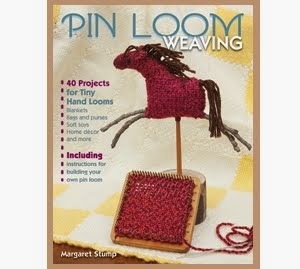 Please feel free to download the updated 6" loom pattern.